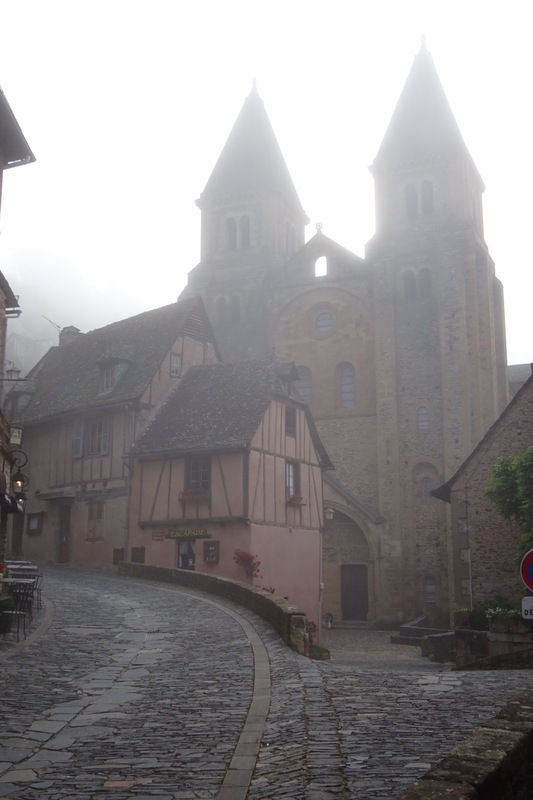 I spent the afternoon in Conques drinking beer and reading. On my way back to the Abbaye I came across 2 young men hobbling painfully across the cobblestones. I asked them what happened. 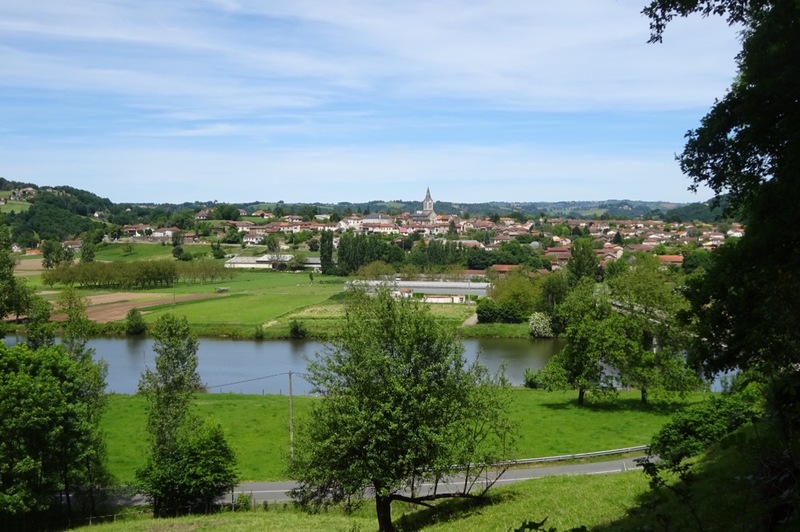 They had set off together from Le Puy last week and were both suffering from inflamed Achilles’ tendons. That means 2 weeks of rest if you can afford the time and money or Camino over. Give me blisters any day. 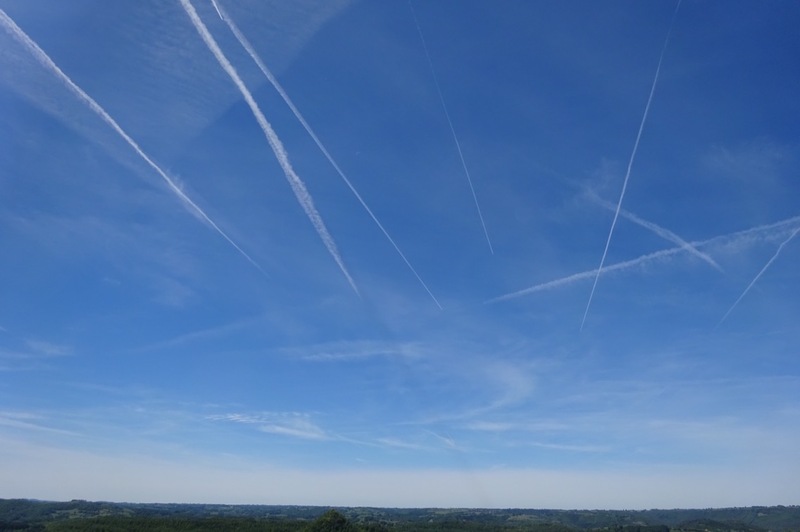 I joined them for dinner along with another, B, who was born in Carshalton but lives in France. They were all in their mid twenties. A monk appeared during dinner calling my name. He asked me to read a prayer in English and for B to read it in French during the evening blessing of the pilgrims in the Abbaye church. I quickly searched for a nearby hole in the floor or some excuse but none was forthcoming so I accepted. B and I had a little chat. He was troubled because he is a non believer. I told him I had left the Catholic Church when I left childhood and hadn’t given any thought to whether I believe or not. 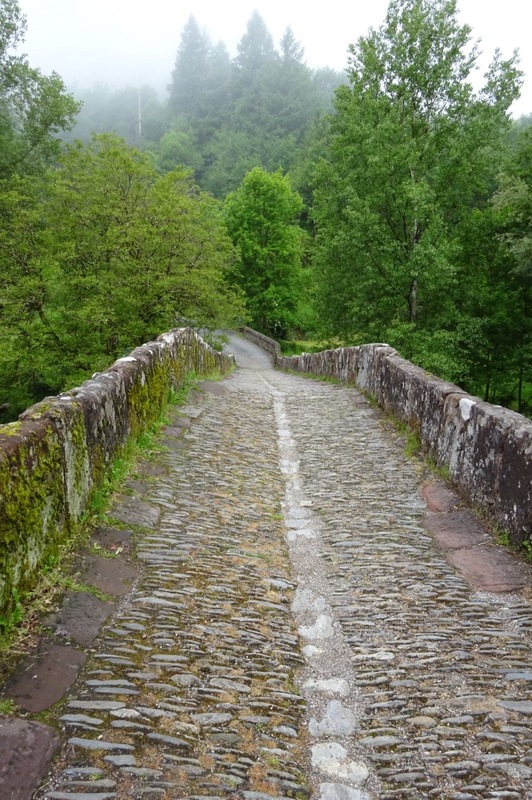 We walk the Camino as pilgrims because we feel something, because there is great energy in places like Le Puy and Conques and because we enjoy the culture and history following so many generations of pilgrims. For me it is no different to walking around the National Gallery or watching a great film and believing it. B downed a glass of red wine in one and off we went for the pilgrims blessing. It’s always a moment to visit the great European churches but to be called upon to read to the gathered masses, well I felt like the Pope. B and I were called to the alter and he kicked off with his genuine French accent and a hint of South London. I then took my place and gazed out at the assembled congregation in this most imposing of churches and read my piece. What an experience! After that I received an English copy of Mark’s Gospel to add to my collection. B is bound for Compostela and we agreed to walk together. However there was no sign of them this morning so I set off alone but will hopefully meet them again. I joined 3 English men for breakfast who had just arrived in France. 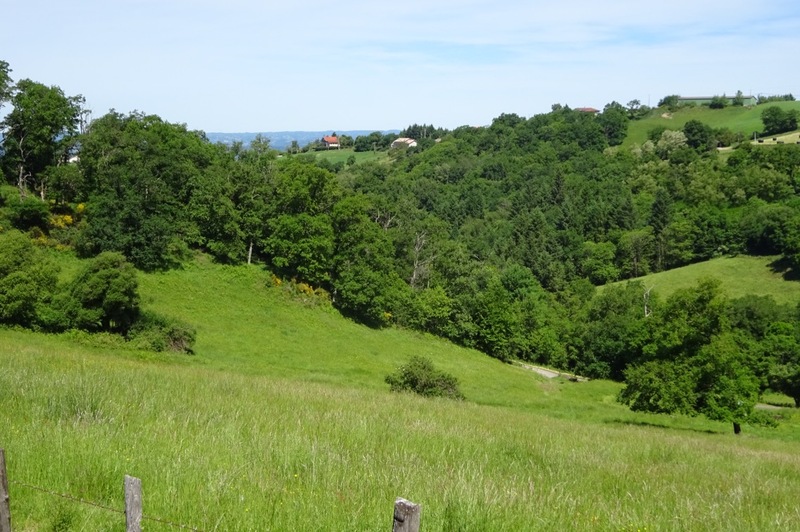 They are walking the Le Puy route for one week per year and are just starting their third stage. 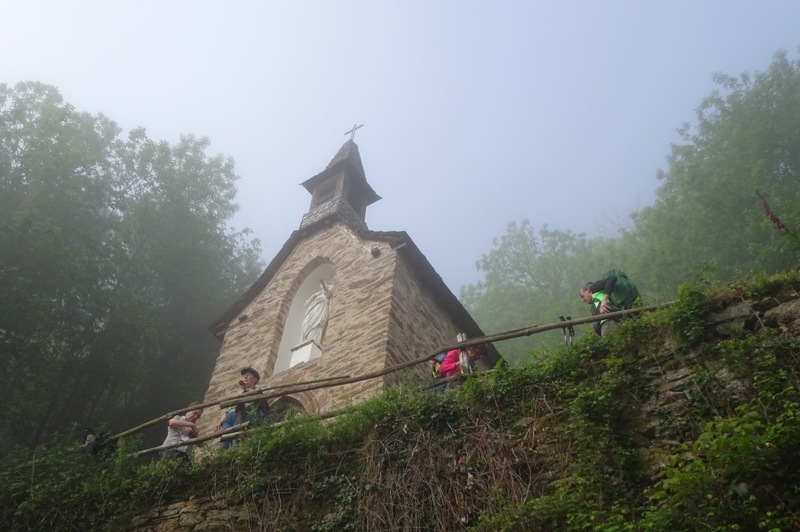 They seemed in a complete muddle so I bid them a Bon Chemin and set off alone on the steep climb out of Conques with visibility down to not much. I arrived in Livinhac. It is a desperately quiet village with one bar. I was just in time to add my name for dinner because Madame at the gite could only offer me a basket of raw ingredients and a saucepan. Charlemagne presented this letter A to Conques Abbaye. There was a different letter for each of his favourite abbeys. 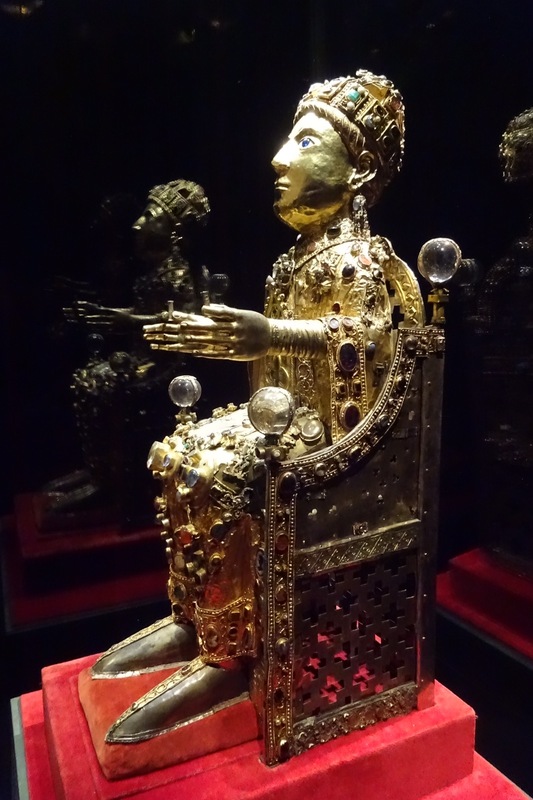 Gold statue of Saint Foy from the 9th century. 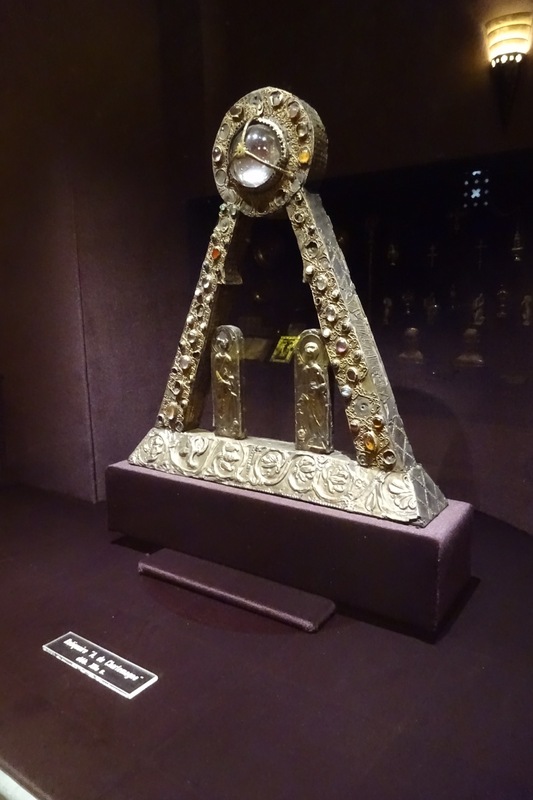 One of the many treasures in the Abbaye. Thanks Nick. These tales write themselves. I could never make them up!